The 24-year-old Davide Petermann was born on December 25, 1994 and is therefore exactly as old as his team's average age. Davide Petermann stands 185cm high and thus is 3cm taller than his team on average. He is a left footer just as 41% of AC Pistoiese. Back in 2019, Italian midfielder Davide Petermann's contract with AC Pistoiese (Italy), the club he is still a member of, took effect. Until now, he has been present in 19 games. 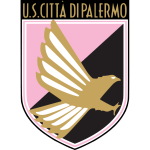 His longest stay in a team counts five years and 5 months in US Palermo (Italy). Besides playing for AC Pistoiese, Davide Petermann additionally is a member of Urbs Reggina 1914. At AC Pistoiese, he is the owner of strip number 23. AC Pistoiese has nine more midfielders in their squad, namely Alberto Picchi, Gregorio Luperini, Paolo Regoli, Viviano Minardi, Tommaso Fantacci, Antonio Tartaglione, Jami Rafati, Pietro Tempesti and Leandro Vitiello. Davide Petermann managed to attract a lot of good feedback after his performance at US Palermo, the team he was subjected to before joining AC Pistoiese. From his professional start until now, he has performed in 76 matches in total and hindermost appeared 34 days ago. On the whole, he joined the pitch 25 times and left it 35 times after the start of the match. In the present term, he left as many games before the final whistle as he joined after match start. So far in his career as football player, Davide Petermann was part of eight clubs. The briefest time his spent on a team counts five months in his present club. To date, collectively he holds 17 penalties. Lately, he seems to be more quiet since less penalties were given to him than usually.